My prediction is that the world will be more destroyed than in this time. Our houses won’t exist. I think we will live on another planet. But there won’t be air for us. 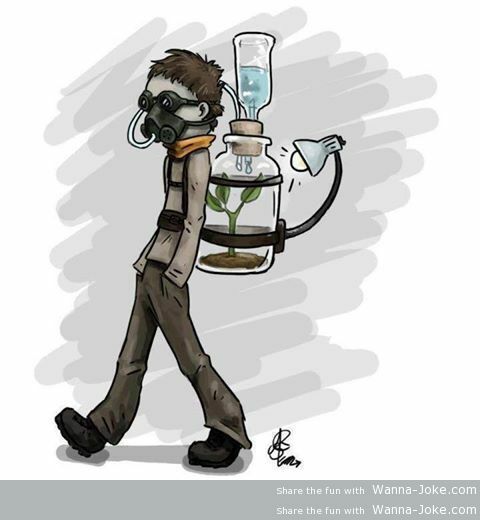 We will have oxygen bombs on our backs to be able to breath. The food will be liquid in bags and we will eat thanks to hoses. The house where we will live will look like a bubble. Here will be air useful for people. We will travel by flying cars and flying houses. People won’t have coal oil. Cars will use new substances which will be discovered. We will travel more between Earth and other planets maybe between other galaxies too. My predictions are probably over the line, it is just my opinion. I think that there are only two basic options how the world can look like in 2060. The first one is that there will be nothing. Everything will die and there will be no life on Earth. The second option is that nothing will go wrong and life on Earth will exist. In this case I think that there will be a lot of modern technology. Flights to space will be common. Cars will be eco-friendly to nature. Buildings will be white and in modern style. There is only one thing I can’t imagine and that is the political situation. Will Europe be still democratic? But earlier people thought that in 2000 there would be flying cars and similar things. And do we have them? No! It means that we can only hope or …. If we want flying cars and other fantastic technologies in 2060 we must support science. Living in 2060? That is over forty years ahead. And how will it look? Living will be faster because of lifestyle. Lifestyle with more technology! The technology will be advanced. New kinds of technology, travelling to other planets, flying cars and living under oceans. Everything new. It will help us with many things. For example in medicine. New technology will help us to heal people and animals. We will cure illnesses like cancer, AIDS and diabetes. These illnesses will be easy to heal in future. Therefore our population will grow. With growing population planet Earth will begin to be overcrowded. And that is a negative contribution. However, if we try to keep healthy lifestyle, we won’t not only live longer but also better.